By the end of the calendar year there will be no Palestinians working in Israeli settlements, Ramallah-based Minister of Labor Ahmad Majdalani announced Thursday. 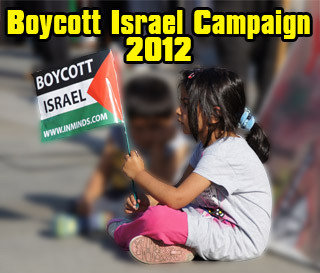 The move comes amid a government campaign to boycott settlement products, following the prohibition of such goods in Palestinian markets, and the implementation of a ban on the sale of phone cards and SIM chips for Israeli cellphone providers with mobile towers in settlements. In his announcement, Majdalani said the ban - which began at the start of 2010 - had already achieved "notable results" during the course of the year. Specifically, he said there were 7,000 fewer Palestinians working in the settlements because of the decline in production of settlement goods, and added that Palestinian products were quickly replacing the settlement goods in shops. Moreover, Majdalani said, the former settlement laborers were being absorbed into the Palestinian workforce as demand for local products increased. 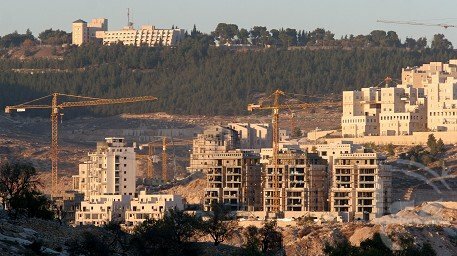 A senior Palestinian National Authority (PNA) official revealed on Wednesday that the authority plans to lay off all the Palestinians working in the construction of the West Bank's Jewish settlements by the end of 2011. Ahmed Majdalani, the PNA Labor Minister, said, in a statement published by state-run Wafa news agency, by the end of 2011, there will be no single Palestinian worker works in Israeli settlements. "The decision is part of the Palestinian campaign to boycott the Jewish settlements and its products," said Majdalani, adding " the campaign has given quick fruitful results." He went on saying that "following the decision of boycotting the settlements' products, the number of laborers working in the settlements declined to 7,000 only." "The drop in the number of (Palestinian) workers in the settlements is due to the withdrawal of Israeli investments in the settlements," said the PNA official, adding "many settlements' workers are now working in the Palestinian industry instead." Several months ago, the PNA launched a campaign of boycotting the Israeli settlements products, collecting huge amounts of products from the shops and the grocery stores and burning them. Majdalani revealed that his ministry is working on establishing "The Fund of National Dignity," a body which would be devoted to create job opportunities in coordination with the ministry of economy.